An in-depth introduction to basic options with GTmetrix. There’s more to GTmetrix than just inputting your URL and clicking analyze. The results you get from our default test options are a good start, but they might not best represent your visitor’s experience. In this article, we’ll show you how to make the best use the Analysis Options offered in our Basic (Free) account. First, let’s go through the major Analysis Options you have access to on a Basic GTmetrix account. When you log in, you’ll be taken to the Dashboard. Under the URL input field, you’ll see a button titled “Analysis Options”. Click to expand. You’ll see a rich set of analysis options – even for free users! Click “Analysis Options” to get access to a variety of features. Each option is categorized in a major section – let’s break them down below. These options have the most impact on your page timings and can drastically affect your report. Test Region, Browser Option and Connection Speeds make up the Test Format. Test Region – where you want to analyze your site from. This is the location of server where you wish to test your site from. You can choose from 7 global test regions to analyze with. Be sure to select the region that most of your users are visiting from. Why it’s so impactful: The geographic distance between your server and a visitor significantly affects network latency. The further apart each are, the longer distance data has to travel. This is why CDNs are important with regards to an optimal performing website. 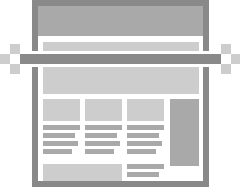 Test your site with Firefox, Chrome or Chrome Android (mobile). The type of browser to use to load your site. We analyze your page with real browsers – as opposed to emulated browsers. More on this here. As with the test location, be sure to select the browser that your visitors are using. Why it’s so impactful: Chrome and Firefox use different engines to render pages, which may result in different page load performances. Our Chrome Android browser is running on a real Android device, which provides a real-world experience of how your page loads on a mid-tier mobile device. It’s best to use the browser that most of your visitors are loading your site with so you can accurately reflect their experience. Connection Speed – The type of connection to test your site with. The type of connection – or in other words – speed at which to test your site with. This is also known as throttling. You can choose from eight different connection speeds, including 3G, LTE, and various Broadband speeds. The GTmetrix default connection speed is Unthrottled – a very fast speed that is likely unrepresentative of your visitors. As with the above options, be sure to select the connection speed that most of your visitors are using. Why it’s so impactful: It’s important not to assume everybody has a super fast connection to the Internet. It’s better to err on the side of caution and pick a conservative connection speed so you can ensure performance is acceptable for visitors who may not have the luxury of fast internet. For advanced testing, you can can add Custom Connection speeds (only with our Developer Toolkit). For more specific testing and special cases, GTmetrix provides a few more options that can provide further insight. You get all these options available to you as a Basic user – free! Capture video playback of your page loading to see how a visitor experiences your site. Block ads from the GTmetrix test – Useful for troubleshooting. Note that this may ironically increase various timings however, due to Adblock Plus’ high resource usage. As an alternative, our URL Blacklist feature is also an option to block ads without affecting timings. Have tests stop at the onload event, rather than the fully loaded event. You can learn more about onload vs fully loaded here. Available only for Bronze, Silver and Gold PRO plans or as an add-on for Custom plans. Get enhanced developer features, including simulating devices, changing resolutions, and creating custom connection speeds. Learn more about the Developer Toolkit. Analyze your HTTP password protected page by providing a username and password. Note: This is not for pages with a general user login, but for pages with an .htpasswd set. For pages requiring a user login, read below about Cookie sessions. Learn more about Cookie sessions here. Only allow or deny resources from the URLs you define. Helpful for diagnosing troublesome requests. Read more on how to blacklist/whitelist URLs here. Reports should best represent the majority of your users. Adjusting the Test Region, Browser Option and Connection Speed to what closely represents your visitors is the best way to benchmark for performance. Using data from your analytics, you can find out where the majority of your users come from, and what browsers they’re using. Your analytics should show basic segmentation of your visitors, including where they’re visiting from. Use this information to adjust the Test Region and Browser Option. We’ll discuss Connection Speed below. You’ll likely see a segmentation in your visitors. People will visit your site from all sorts of different locations, devices, and connections. Ensure you have a “whole-picture” view of your performance for the most common pages and scenarios your visitors may experience. 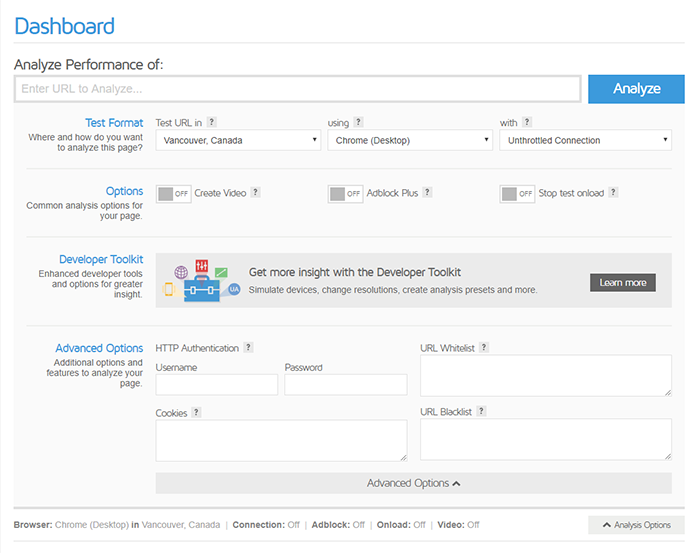 Performance monitoring is critical to ensure your site loads as you’d expect it to. Even large retailers are susceptible to performance blips and blunders. You can monitor up to 3 URLs with a Basic GTmetrix account. For the pages that matter most, be sure to monitor their performance and set up alerts to notify you of any issues that arise. …any page you deem important. You can monitor and set up alerts for up to 3 URLs on a Basic (Free) plan! The Basic GTmetrix account allows you to monitor and set up alerts for up to 3 URLs – for free! If you need more, upgrade to one of our PRO plans or set up a Custom plan that suits your level of usage. Be sure to follow the GTmetrix blog or follow us on Twitter (@gtmetrix)for more news and updates!